Reference: James Harris, 'Working with environmental groups', Public Relations Journal, May 1992, p. 24. 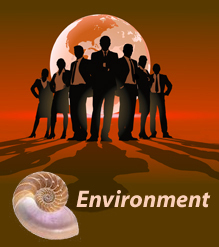 For the environmental groups, working with corporations offers a ready source of funds and a chance to influence their behaviour. For corporations, environmental groups offer the opportunity to obtain positive publicity and gain access to group members, who tend to be better educated and more affluent than the general public. They also provide credibility, which can be particularly valuable...In political coalitions, environmental groups can provide substantial clout, with their large memberships and lobbying expertise. Reference: James Harris, 'Working with environmental groups', Public Relations Journal, May 1992, pp. 24-5.
workplace fundraising where corporations allow environmentalists to collect donations from employees. In Hong Kong we take the view that, while confrontation may have been the only posture available to environmentalists in the 1970s, times are changing and so too are industrial attitudes. We have therefore sought to establish a relationship with industry which is suited to the present... we try to establish a working relationship so as to better understand their point of view, and hopefully influence them to better understand and adopt ours. Accepting sponsorship is one tool in this strategy. We need to harness the organisational and financial resources of industry on our side. Reference: Nick Fillmore, ‘Has the WWF Sold Out?’, Huffington Post, 26 June 2013. In addition many of the larger environmental groups have millions of dollars invested in the share market including WWF, The Nature Conservancy (TNC) and the Environmental Defense Fund (EDF), which means they have an interest in ensuring that those corporations whose stocks they own continue to increase share value.